CSKA Moscow may have failed to secure a place in the next round of the UEFA Champions League, but they struck three past Real Madrid at the Santiago Bernabeu. Goals from Fyodor Chalov, Georgi Shchennikov and Arnor Sigurdsson sealed the victory and lifted the Russian giants' heads with pride of the highest degree. Real Madrid had a couple of very close chances in the first half, but two goals before halftime and one after put the game beyond doubt. In the second half, the hosts barely capitalized on possession. Viktor Goncharenko's side have now done the double over the European giants with that victory. Madrid however, qualify for the next round with 12 points. (4 wins, 2 defeats) In the same group, AS Roma qualified with 9 points. Here are the major talking points from CSKA Moscow's shock 3-0 win over the defending champions Real Madrid. 11 - This is the 11th time in 254 home games in all European competitions Real Madrid have conceded 3+ goals in a game. Crushing. With 12 points from five games and an assured place in the knockout stages, anyone could predict a host of changes to be made by Santiago Solari. 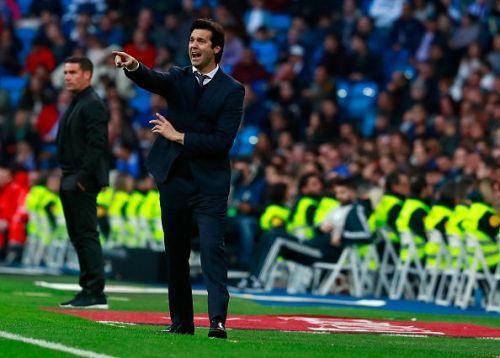 The Madrid boss made as many as seven changes to the side that pipped Huesca last weekend. Thibaut Courtois formed the last line of defence and retained his place in the starting XI. Sergio Ramos and Raphael Varane gave way to young Sanchez de Felipe and Jesus Vallejo, who started as central defenders. Daniel Carvajal was rested, while Marcelo returned from an injury setback. Alvaro Odriozola continued to play at right back. Federico Valverde came in for Toni Kroos as Solari fielded a 4-2-3-1 setup. Isco, who hasn't had the best couple of months, started just behind Karim Benzema. Marco Asensio occupied the right flank, whereas 18-year-old Vinicius Junior became the third youngest Galactico to start a Champions League game, behind Iker Casillas and Raul Gonzalez. 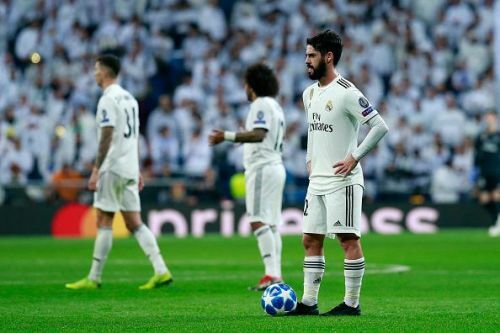 Only Marcelo, Courtois, Isco and Benzema in the starting line-up had notable experience in the top-tier of European football. Altogether, the average age of the team was just 24.